[180 Pages Report] The sterilization equipment market is expected to reach USD 11.14 Billion by 2023 from USD 7.43 Billion in 2017 at a CAGR of 7.0%. The base year for this study is 2017 and the forecast period is 2018–2023. The key players in the sterilization equipment market include are Steris (UK), Getinge Group (Sweden), 3M (US), Sortera Health (US), and Advanced Sterilization Products (US). 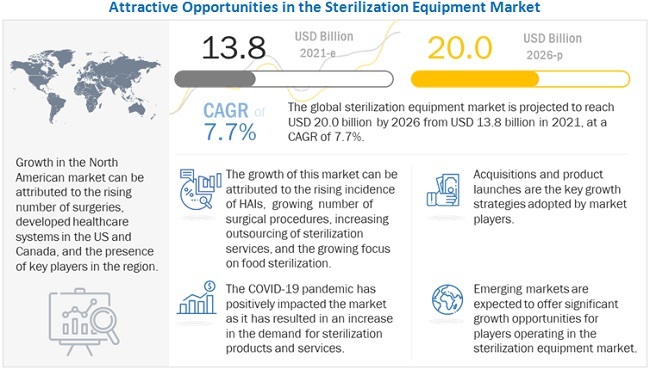 The global sterilization equipment market is expected to reach USD 11.14 Billion by 2023 from USD 7.94 Billion in 2018, at a CAGR of 7.0%. The major factors driving the growth of this market are the rising incidence of hospital-acquired infections, increasing number of surgical procedures, rising focus on food sterilization and disinfection, technological advancements in sterilization equipment, and increasing number of hospitals in Asia. On the basis of product and service, the sterilization equipment market is segmented into instruments, consumables & accessories, and services. In 2017, the instruments segment accounted for the largest share of the sterilization equipment market. The large share can be attributed to the growing incidence of HAIs and the growing volume of surgical procedures across the globe. On the basis of end user, the sterilization equipment market has been segmented into hospitals and clinics, medical device companies, food and beverage industry, pharmaceutical companies, and other end users. The hospitals & clinics segment accounted for the largest share of the sterilization equipment market in 2017. The large share of this segment can be attributed to increasing incidence of healthcare-associated infections (HAIs), growing number of hospitals in Asian countries, and increasing number of surgical procedures. On the basis of region, the sterilization equipment market is segmented into North America, Europe, Asia Pacific, and the Rest of the World (RoW). In 2017, North America accounted for the largest share of the sterilization equipment market. 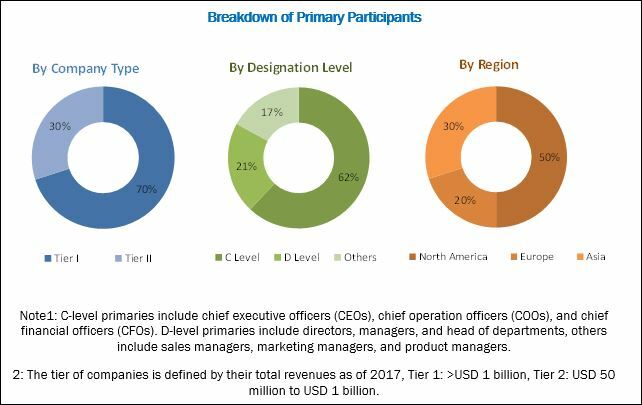 The increasing demand for sterilization technologies from the healthcare industry to minimize the occurrence of HAIs and the increasing number of surgeries in this region are the major factors supporting the growth of the sterilization equipment market in North America. The major players in the sterilization equipment market include Steris Corporation (US), Getinge Group (Sweden), Advanced Sterilization Products (US), 3M Company (US), Belimed AG (Switzerland), Cantel Medical (US), and Sterigenics International, Inc. (US). *Overview, Products and Services Offered Offered, Recent Developments, SWOT Analysis, MnM View Might Not Be Captured in Case of Unlisted Companies.